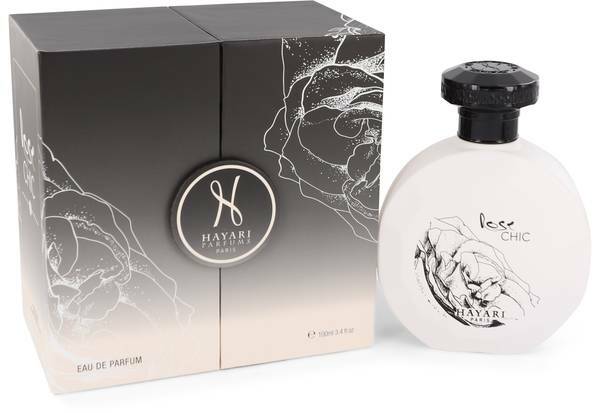 Hayari Rose Chic Perfume by Hayari, The sweet floral fragrance of Hayari Rose Chic contains woody undertones to make it suitable for both men and women. Created by Sidonie Lancesseur in 2015, this scent features top notes of buchu, mandarin orange and freesia to create a floral overtone with hints of citrus. Middle notes of lily of the valley, magnolia and rose deepen the sweet floralcy. The base of this fragrance is made up of amber, sandalwood and musk to ground the aroma in a subtle Read More Read More woodiness that balances the overt floral accord. As a result, this fragrance is perfect for all-day wear yet is sophisticated enough for evening events. Since it first began releasing fragrances in 2011, Hayari has launched 15 aromas for both women and men. Nabil Hayari started the company in 2009 as a clothing line that was heavily influenced by both French and Oriental fashions. Its fragrance line follows the same pattern and reflects both cultures. All products are original, authentic name brands. We do not sell knockoffs or imitations.